BOOKOFF Akihabara is just 1-2 minutes walk from Akihabara station. 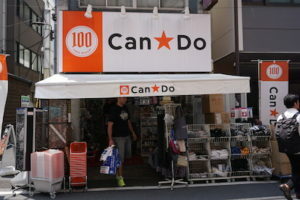 It is the biggest Book Off store in Kanto area. 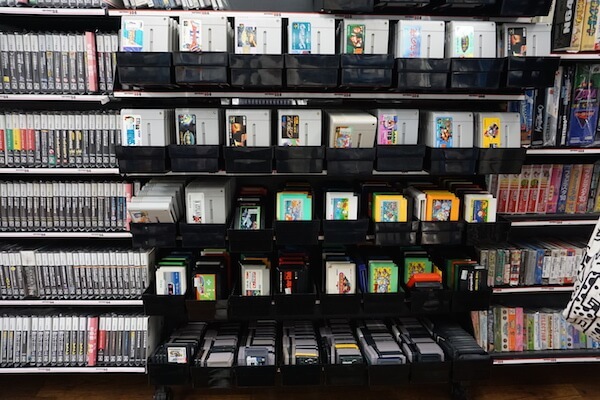 Here you can find new games, comics, and books but also sell or buy used ones! 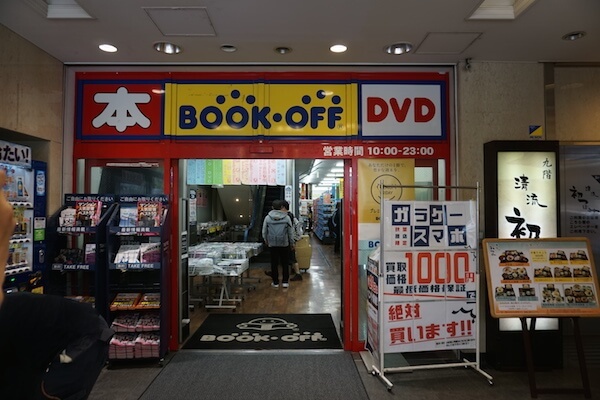 There are BOOKOFF stores all around Japan but, many people choose this one because of the large selection of products it offers. 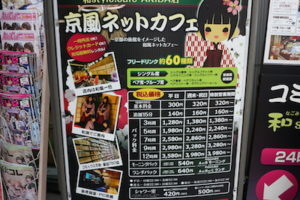 It is definitely one of the must-visit spots in Akihabara. The game floor is a great place to start! 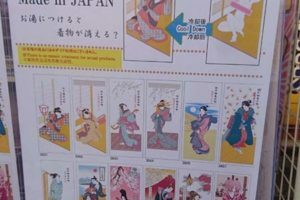 At the entrance, you will see the list of the games for which they offer large amounts of money. Don’t forget to check it out! Maybe, you will get lucky! 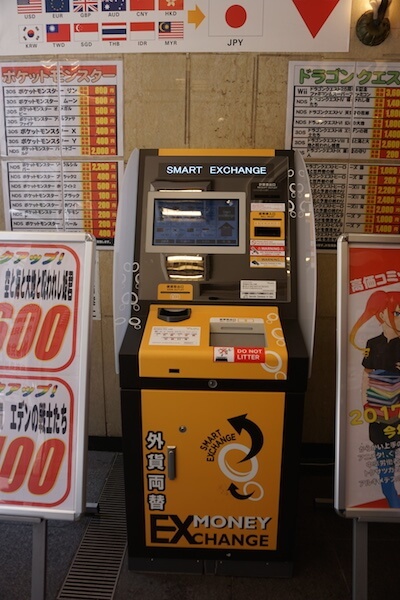 Close by, there is a currency exchange machine where you can exchange money in case you forgot to do it beforehand. 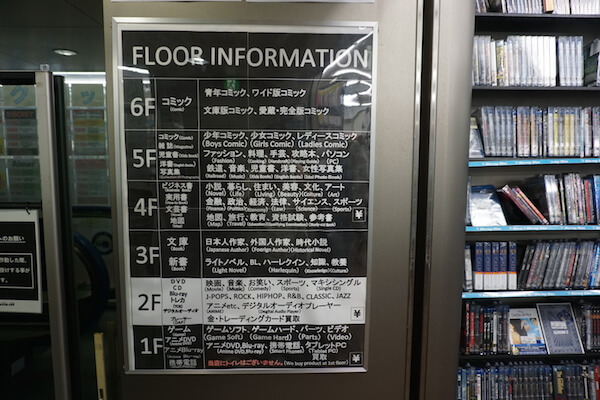 The ground floor is reserved for games and DVDs. 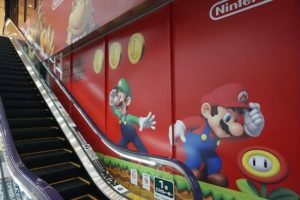 The first things you see when you enter the store are new games and consoles. 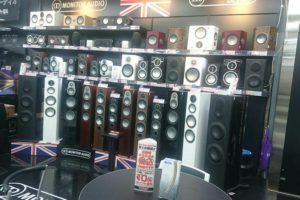 It is really hard to believe this is one of secondhand BOOKOFF stores! As you proceed inside you will see lined up bookshelves filled with countless secondhand games. It is an amazing feeling to be surrounded by all these famous titles. Conveniently, games are separated into PS3, PSP, PS, Wii so you can easily find what you are looking for. 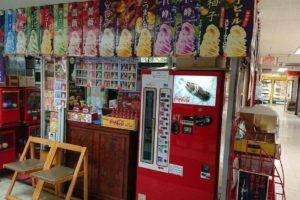 There is even a corner with old games where you can find early game machines like Nintendo Entertainment System, Mega Drive, Dreamcast, WonderSwam and Sega Saturn. Also, I was surprised to find many useful play guides near by. 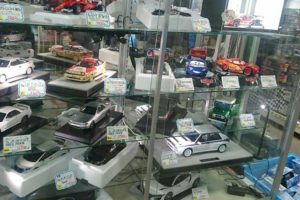 This store is also unique because it doesn’t sell figures. 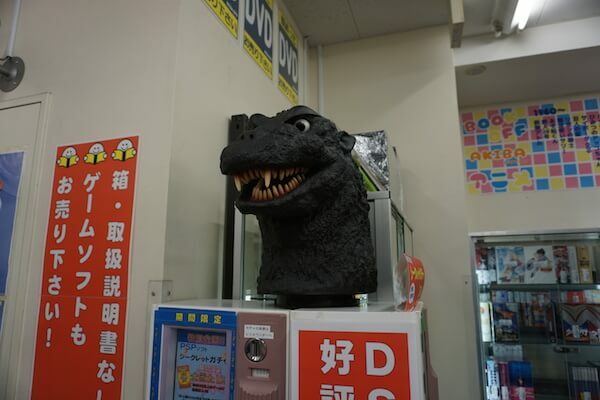 Nevertheless, you can see a few fun figures throughout the store, like Godzilla on the picture above. 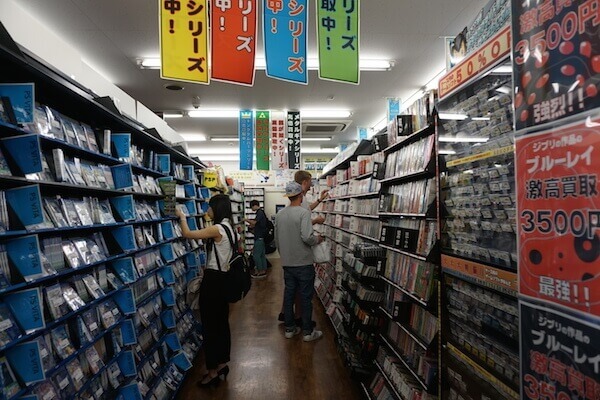 I found a huge shelf with DVDs that sell for only 500jpy. This must be a gold mine for collectors. If you want to buy some comics, you can find them on the 5th and 6th floor (gGirls’ and boys’ comics are on the 5th floor). These floors are arranged like a long hallway which makes it very easy to find the genre you love! All goods here are secondhand. However, they are so well kept and in excellent condition that they look brand new. That is why BOOKOFF is so great! You can buy inexpensive yet high-quality goods. 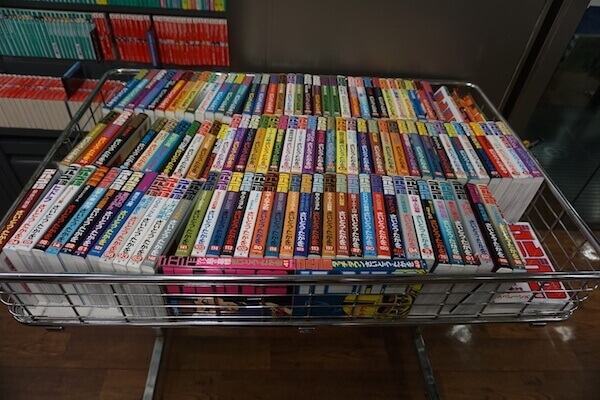 You can buy comics series as a set. 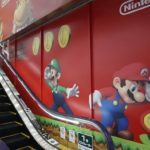 They are also conveniently displayed beside the escalator. They have many incredible deals there. 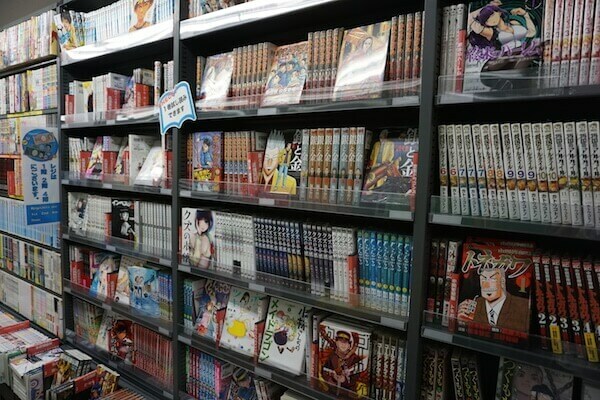 On 6th floor, there are wide edition (B6size) and paperback comics, collectors’ editions and photo books. 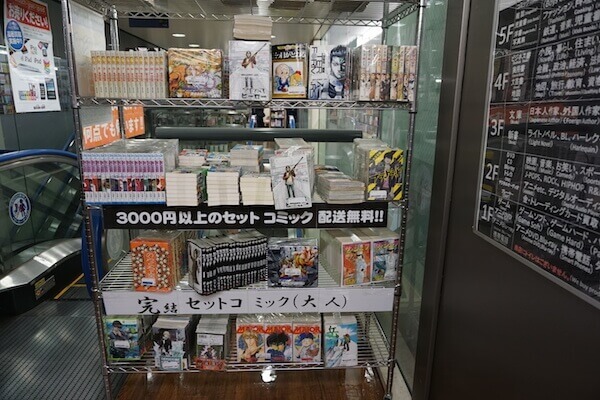 As you can see, BOOKOFF Akihabara offers as much as many large-scale bookstores do, if you don’t mind buying used products, you can find anything you may want here. Business hours are a plus too! 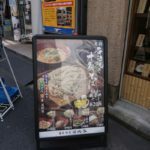 It is opened until 11 pm. 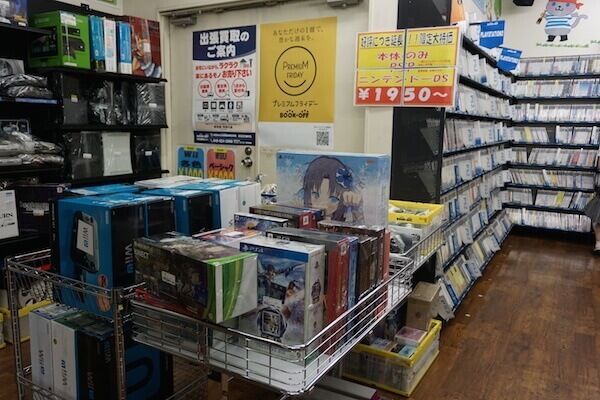 You can just leave it as an icing on the cake at the end of your visit to Akihabara. Even though from the outside all you can see is a slim, tall building, the floors are very long and filled with interesting goods for game and comic aficionados!